A new school year is about to start and with it comes all sorts of emotions. My kids just started 5th and 2nd grade a few weeks ago and I’m a bit teary eyed that this is my daughter’s last year of elementary school. And yes, they go back to school very early. They are on a year round schedule so their breaks are evenly distributed throughout the year. The 3 week fall break at the end of September is my favorite! 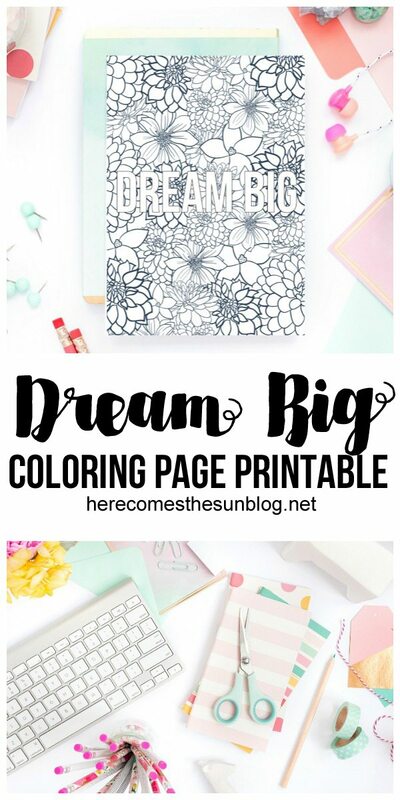 I’ve created a Dream Big coloring page printable that is perfect for back-to-school. One of my favorite parts of the school year when I was young was covering my textbooks with brown paper bags. I would take my books to my room and cover each one like I was wrapping a Christmas present. Then, I had a cover that I could doodle on all year. I’m not sure if kids still cover their books this way but I DO know that they still doodle and color. Do kids even still write notes in class anymore? My guess is no because of texting. Just wondering because THAT was one of my favorite parts of school. One of my friends kept all her notes from middle school and brought them out at our high school reunion. That was quite the trip down memory lane. If your kids still use the brown paper bag method of covering their books, this coloring page printable can be attached to that book cover. 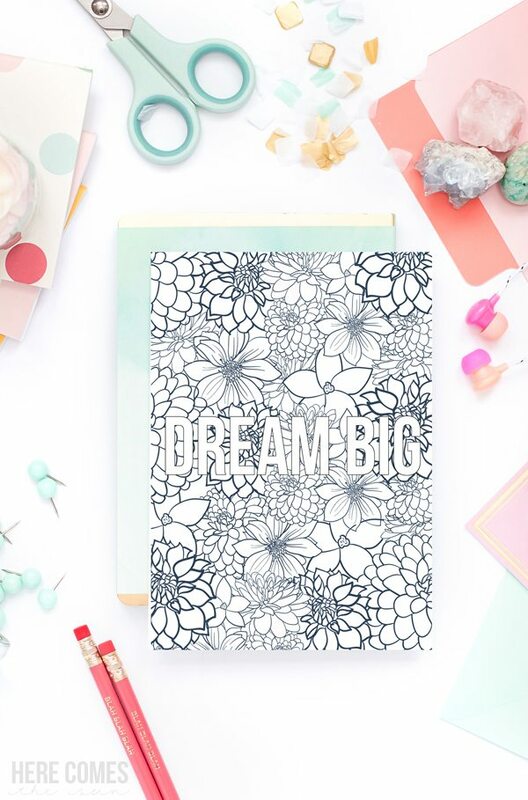 This printable would also look great displayed above a desk for a daily reminder to dream big. This printable is an 8×10 PDF. It is for personal use only which means that you cannot sell or redistribute the file. 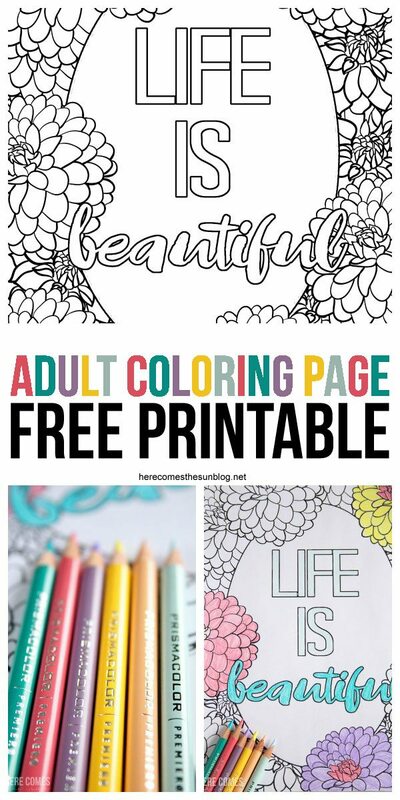 If you love this coloring page printable, please share it!